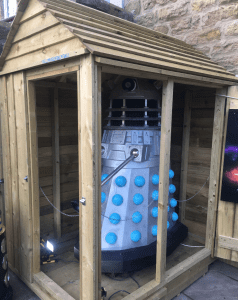 Neil Cole, founder of The Museum of Classic Sci-Fi’ in Allendale, Northumberland, has been told by town planners that he has to remove the shed that encloses their Dr.Who Dalek. The warning which comes from Northumberland County Council is due to planning permission issues of the Grade 2 building that houses the museum, along with Cole. 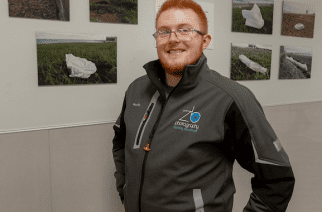 That’s correct, the museum is in fact placed within the basement of Cole’s home in Allendale, and has become a great attraction for locals and national Sci-Fi fans. Visitors to the museum can embark upon a nostalgic tour of some of the genre’s most influential imagery and themes. Featuring a substantial and eclectic collection of over 200 original screen-used props, costumes and production made artifacts; the museum tells the story of the Science-Fiction genre and acts a visual ‘episode guide’ to classic era ‘Doctor Who’. 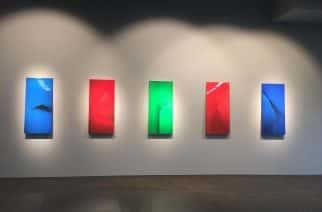 In addition, artist Neil Cole has produced unique paintings and sculptures, to enhance the impact of the presentations. Watch the video below of Cole discussing the future plans for the miniature museum and a visitor’s reaction to the current planning issue of the AllenDalek. SR News contacted Northumberland County Council for a quote, but they refused to comment on the matter.